Disclosure: This post contains compensated affiliate links which help support the work on this blog. 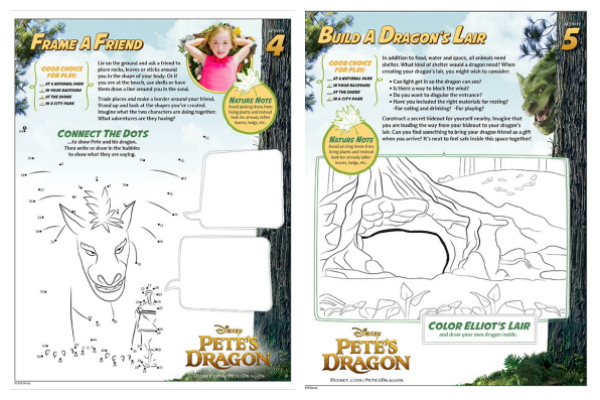 To celebrate the release of Disney Pete’s Dragon, coming to theaters on August 12, 2016, we’re sharing free printables for you and your family to enjoy. 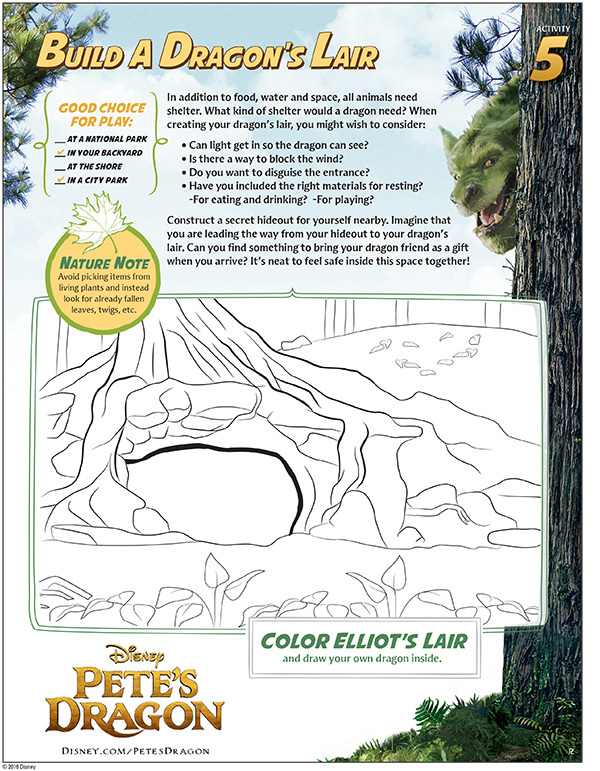 If you plan to see Pete’s Dragon in theaters, this activity pack is a great way to extend your viewing experience. 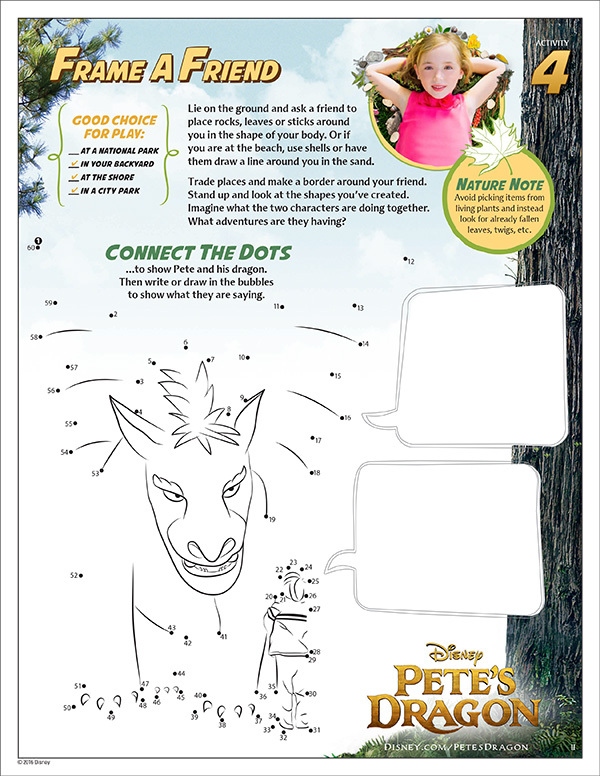 Even if you don’t see Pete’s Dragon in theaters, these printables will still be a lot of fun – and even enriching. 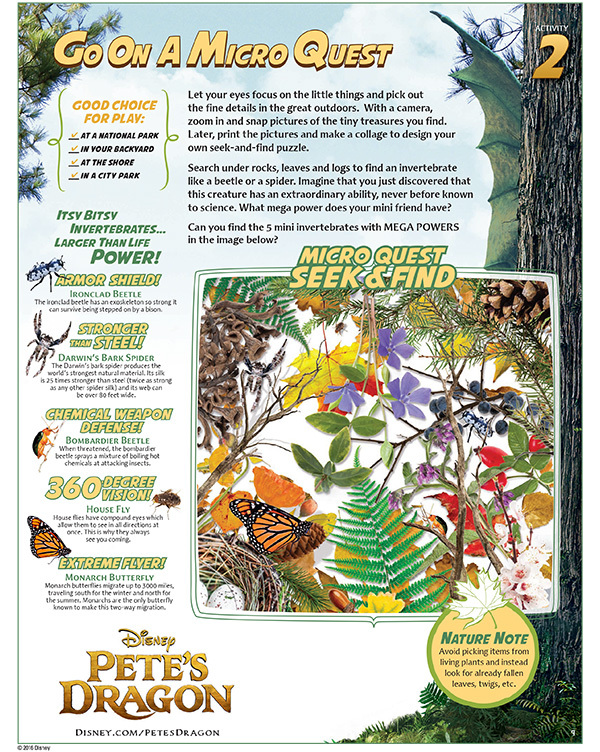 Each page is designed to increase families’ understanding of the value of imaginative play, encourage play outside, and inspire hope for the planet and a desire to protect the environment. 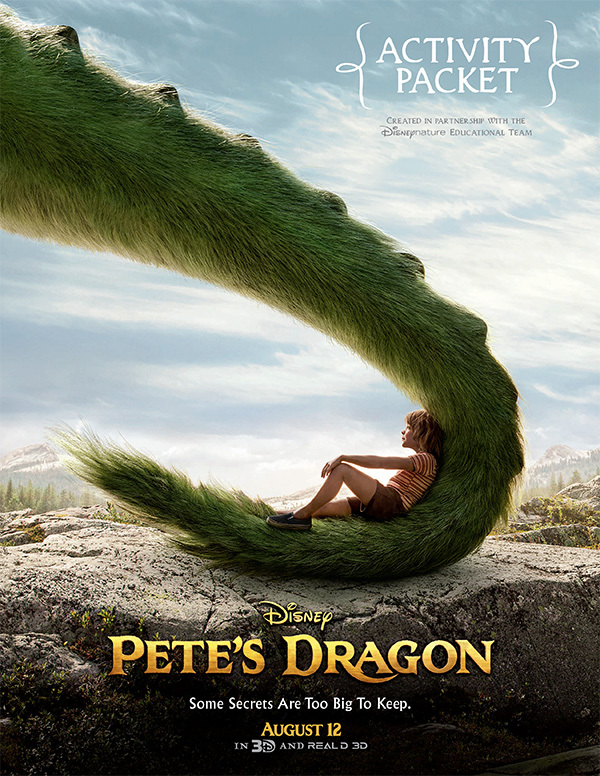 Plus, who doesn’t love dragons?? 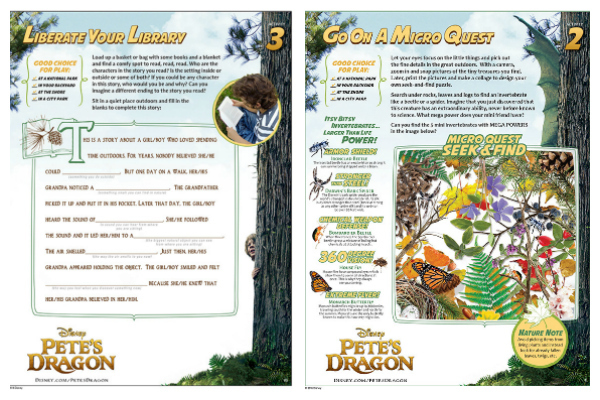 The Free Printables: Pete’s Dragon Activity Sheets is one PDF download that has a total of 11 different Pete’s Dragon educational activity sheets. You watched the grownups from a secret hiding spot? 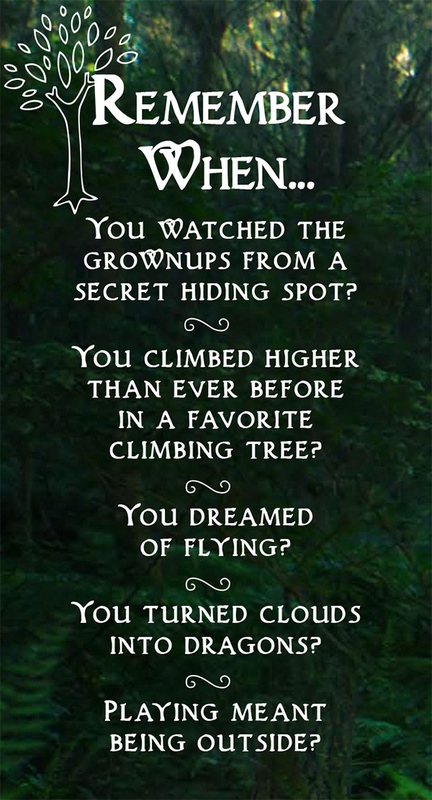 You climbed higher than ever before in a favorite climbing tree? You turned clouds into dragons?